Wine is a complex thing. Every bottle is different, every winemaker is different. Every glass is a little different. It’s what I love most about wine. And allthough wine is complex, it doesn’t have to be complicated. Probably one of the most asked questions I receive as a wine blogger is ‘What makes a good wine’? And my response is always the same… a wine that you like. And that answer confuses some people. When I asked that question to winemakers on my first trip to the Napa Valley, that answer confused me a little too. I was looking for characteristics in a wine that I could detect, that would make me go ‘Ah ha, this is a good wine!’ But wine doesn’t work that way. Order wine like a Sommelier. When I’m at a restaurant I’m usually asked to pick out the wine. Most people know I am a 2-day course away from being a certified Sommelier. I have to go work in a vineyard for two days, which I plan on doing this Spring. If you’re the one at the table usually asked, and you are not an accredited Sommelier, you can still make it look easy. The first step is discovering what type of wine your fellow diners usually like. If they like a soft white like a Pinot Gris, you probably don’t want to order a tannin heavy Cabernet Sauvignon. The second step is to know a little about food and wine. And this is not as hard as it sounds. Most people tend to order 1 or 2 bottles with dinner, and it’s usually based on preference red or white. If I had to choose one white and one red for a table, without knowing what everyone was eating, I would pick Chardonnay for the white and Pinot Noir for the red. Here’s a little chart that may help you . “Light & Fruity” If the sun is still shining and you are just starting the night, a light and fruity wine is perfect because it’s easy to drink. “Light & Earthy” The intellectuals wine. Light and earthy wines have subtle flavors and complex aromatics. They are great for slow drinkers. “Bold & Fruity” The classic “Crowd Pleaser” wine. These wines work great to satisfy large groups where preferences are diverse. “Bold & Earthy” Serious business. The black coffee of wine. Tempranillo is another super food friendly wine. It’s not too heavy and would go with just about any dinner you ordered. Native to Spain, it can also be found in Portugeuse wines and Argentinian wine. This Hoya de Cadenas 130th Anniversary edition is in our liquor stores now, and it’s a great example of a wine I would put on a table even if I didn’t know what everyone was eating. It’s a blend, featuring Tempranillo, Bobal, Cabernet, Merlot and Shiraz. This is an example of a complex wine. Bobal, you may be asking? Yes, it’s a grape that is native to Spain and is derived from the word Bovale, in reference to the shape of a bull’s head. True story. It’s a medium bodied wine and super smooth. This wine is also a fantastic price point, coming in at just $17.99 a bottle. This is a great value, and believe me when I say it tastes like a $30 bottle of wine. 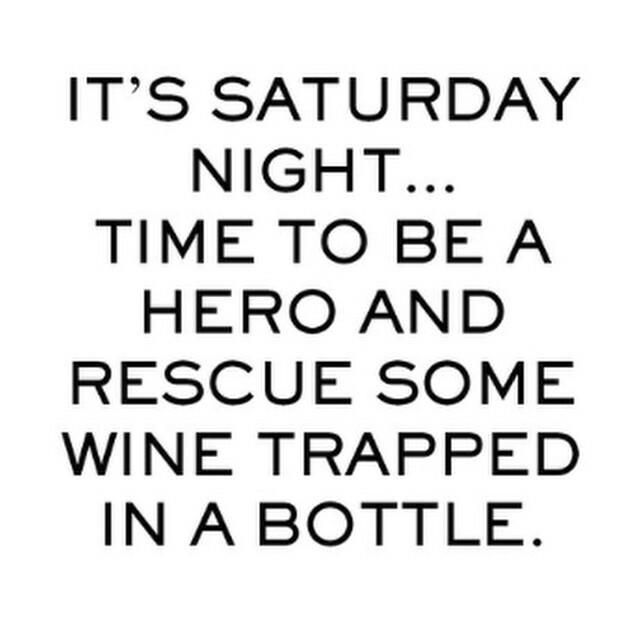 Drinking wine is like an adventure. You never truly know what you’re going to get until you actually experience it. If you are drinking the same wine time and time again, I urge you to try something different. Wine should be an accompaniment to your life experiences–where you are and who you’re with. I love finding people who share the same adventurous wine-drinking mind set I do. They tend to get me out of my wine ‘comfort-zone’. And now it’s time for my wine of the week…. I have written about Gnarley Head before, but this past week I have tried the Authentic Black by Gnarly Head. Hailing from Lodi California, you can guess Zinfandel is a part of this wine. 50% Zinfandel to be exact, along with Merlot, Cabernet Sauvignon and Petite Sirah. 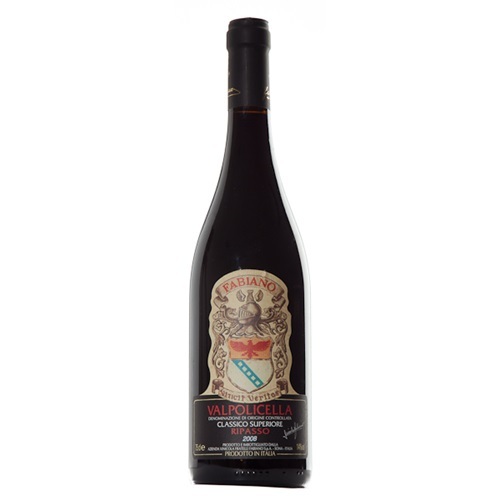 This is a beautifully rich and rounded wine with flavours of cola, licorice and vanilla. But not sickening sweet flavours, the fruit of the wine is still what made this my wine of the week. Great price point at $20 a bottle. A day I never thought I would see happen, happened yesterday. Donald Trump was sworn in as the 45th President of the United States. A little mind-boggling to us Canadians, my fingers are crossed he does a good job. I have a feeling a few Americans imbibed on a little wine yesterday, to numb whatever pain they may be feeling. If I was an American, here are some of the wines I would be enjoying this weekend. 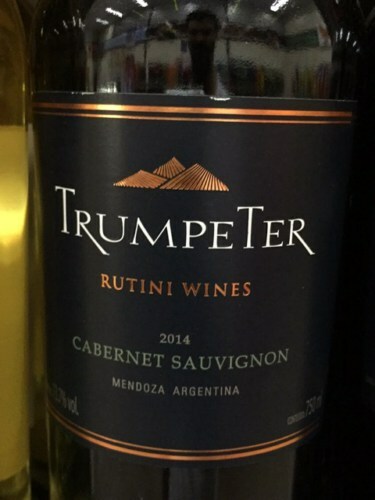 The first wine of the day is fittingly called Trumpeter Reserve Cabernet, however this wine is not American, it hails from Argentina. It’s a big bold Cabernet Sauvignon, which may be kind of fitting for the new President of the U.S. and maybe unlike the new President, you can take this one to a barbecue. Going great with grilled meats, it’s a wonderful value at just $16.99 a bottle here in Nova Scotia. The Trumpeter Winery also makes a Viognier, which I love. I think Viognier lights up the palate and brings it alive. Great wine to go with turkey. And they also make a red blend, in which the main grape is Tempranillo. Both are under $18 a bottle and I think Argentina is producing some great wines for a tremendous price. This might be an appropriate wine for some of our Democrat friends, as they had to bid farewell to a great President. The Cleaver Red Blend is truly American, coming from the great Renwood vineyard in California, who also makes my top pick from 2016, the Renwood Zinandel. This blend is 71% Zinfandel so you know its flavorful, rich and juicy. It also has Petite Sirah and Syrah, so you can enjoy those wonderful pepper and spicy notes. I love this wine. No offense to my American friends, because I do love the United States and visit as often as I can, but today I can’t help feel especially grateful to be Canadian. So I’m going to feature a great Canadian wine. 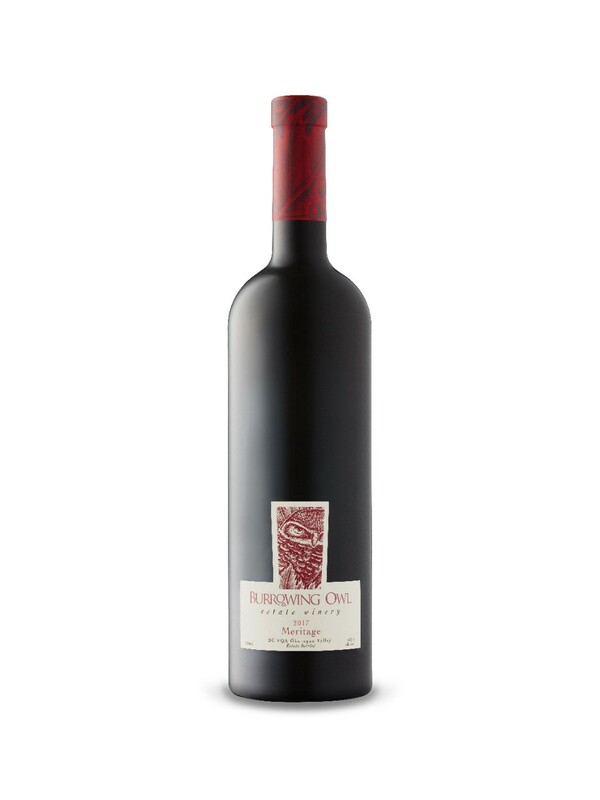 One of my favorite Canadian wines is made from a vineyard called Burrowing Owl in British Columbia, and I have ordered from this winery several times. I have ordered the Merlot, and love the hints of sage in this wine, as well as its spicy fruitcake flavors. It’s a really delicious, really different Merlot and I love it. I have also ordered the Meritage, which is probably my favorite from this winery. Meritage is a North American version of a Bordeaux. This wine contains all 5 grapes that could make up a Bordeaux, Cabernet Sauvignon, Merlot, Cabernet Franc, Malbec and Petite Verdot. Spectacular… this wine hits it out of the ballpark. A wonderful treat, that unfortunately you can’t get east of Ontario, so you would have to order it in. Life is short. Be True. Be Kind. Be Brave. Light a Bonfire. Those are the words of wisdom on the bottle of this extraordinary wine. Shiraz, Malbec and Pinot Noir make up the majority of this great blended wine. This is one of the best wines I have ever tasted from South Africa. Made by winemaker Trizanne Barnard, this lady is a wife, a mother, and a surfer that loves bringing that balance to both her winemaking and her passion for everything in life. This wine is available in Nova Scotia at under $20 a bottle and I loved it. My favorite new find so far in 2017. Stay strong my American friends. There’s always wine! 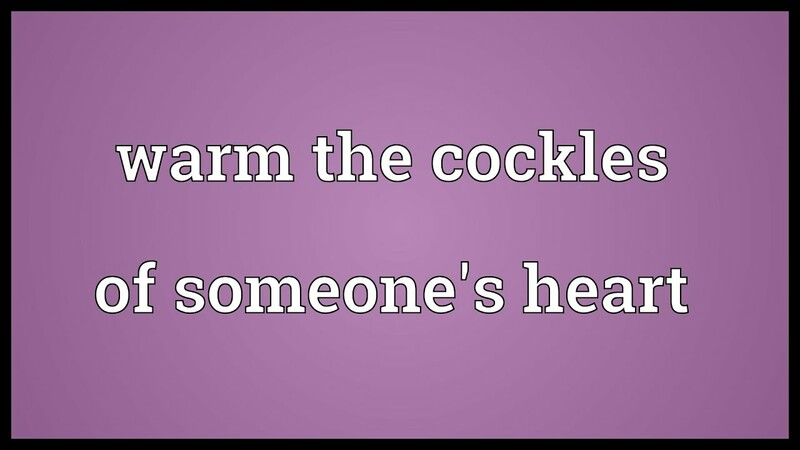 If the truth be known, I’m not exactly sure where the cockles of the heart are? 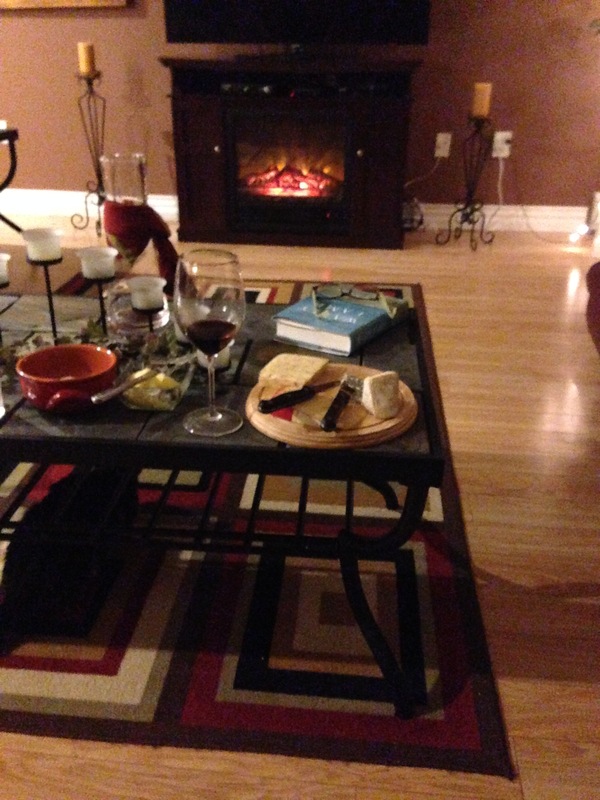 But with the frigid temperatures Eastern Canada recently experienced, I have discovered how to keep warm, and it involves my fireplace and red wine. Oh, and cheese. There’s always cheese. This is actually a picture of my home and a typical Friday or Saturday night during the winter. I’ve even been known to enjoy this scene on a weeknight as well. Wine is like comfort food to me. 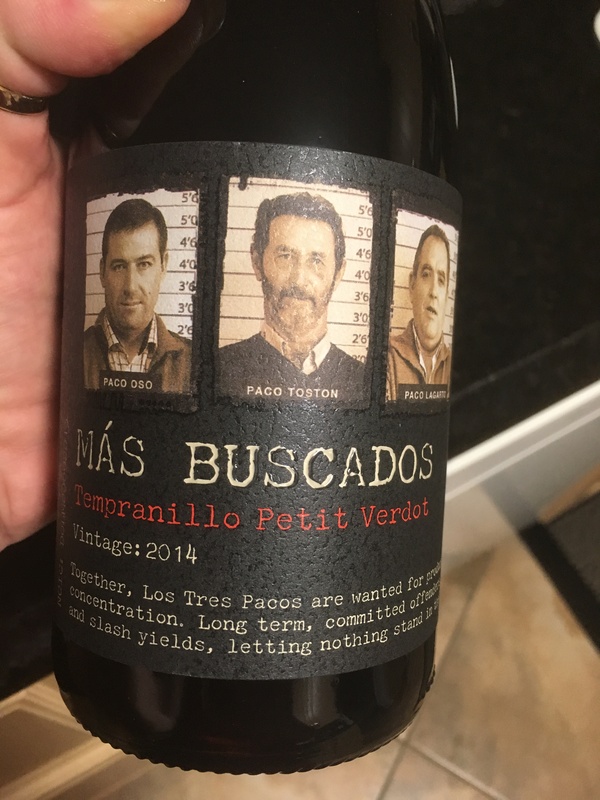 Here’s a wonderful wine I’ve tried recently from New Zealand, the Mas Buscados is a blend of Tempranillo and Petite Verdot. It was a medium bodied wine with soft food-friendly flavors and there were hints of black pepper and licorice. This is not overly oaky, even though 3 different types of oak were used… French oak, American Oak and Hungarian Oak. Honestly, I think this is the first time I’ve had oak from Hungary, said to soften tannins and enchance smoky characteristics. The only one I’ve ever had from Hungary was Royal Tokajji , and I’m pretty confident they don’t use oak on that delicious sweet wine. I think this is a tremendous value, at just $17.99 a bottle here in my part of the world, and almost made my wine of the week, it was that good. My friend Judy and I have been on a huge Ripasso kick. We both love how it meets in the middle between a Valpolicella and an Amarone. This particular wine, the Fabiano Valpolicella Ripasso, is made from the Corvina grape, sometimes used in a blend, but this time it’s all on its own. I thought the flavors and characteristics of this wine were dynamic. It is very aromatic on the nose and flavorful on the palate, and Ripasso has become one of my top favorites to enjoy with pizza or pasta. And now it’s time for my wine of the week, and I’ve actually been waiting a few weeks to tell you about this wine. 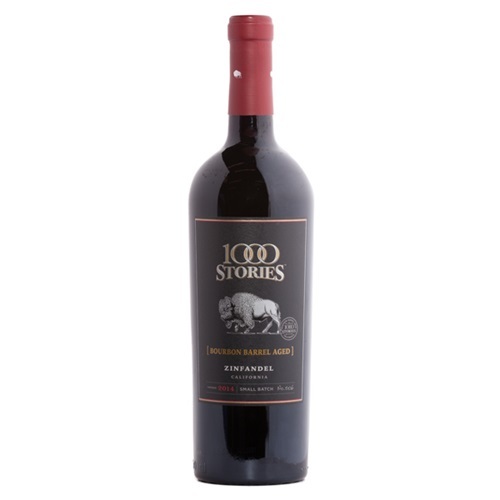 The 1000 Stories Zinfandel featuring the mighty Buffalo on the label is fantastic. Less than 200 years ago between 30 million and 60 million buffalo roamed North America, and now there are only about 1000 accounted for. This wine is aged in bourbon barrels and you might think it would have the wine tasting boozy, but it doesn’t. 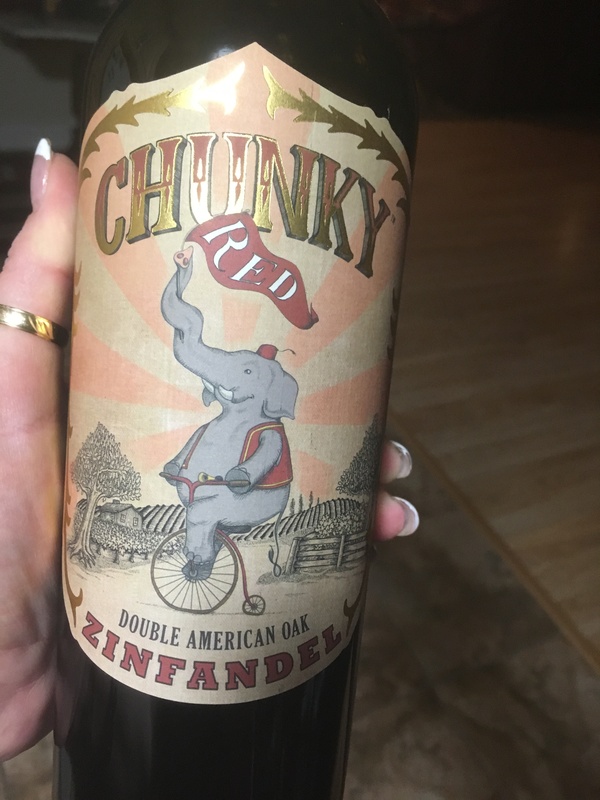 This wine is fabulous, with a splash of Petite Sirah added to the Zinfandel grape, to add some flavors of spice and black pepper to the wine. Great food wine, great barbecue food wine, for those like me that barbecue all year round. Do you know what I am doing today? I’m taking down my Christmas tree and the remaining Christmas decorations. A tinge of sadness because I really love how my house looks with the Christmas decorations up! However, I love the beginning of a New Year. It’s a 365-page blank slate. And a great time to get out of your wine rut and try some new wines. About 2 years ago I found I was in a bit of a ‘wine rut’ and decided to try at least 1 new wine per week. And I’ve kept it up for 2 years and I have found some amazing new wines in all price ranges. I share some of these new wines as my ‘wine of the week’! So if you are up for the challenge of trying a new wine, please share with me the experience, as I am always on the lookout for new wines to try. First I have to share a favorite that I got to enjoy again on New Year’s Eve. 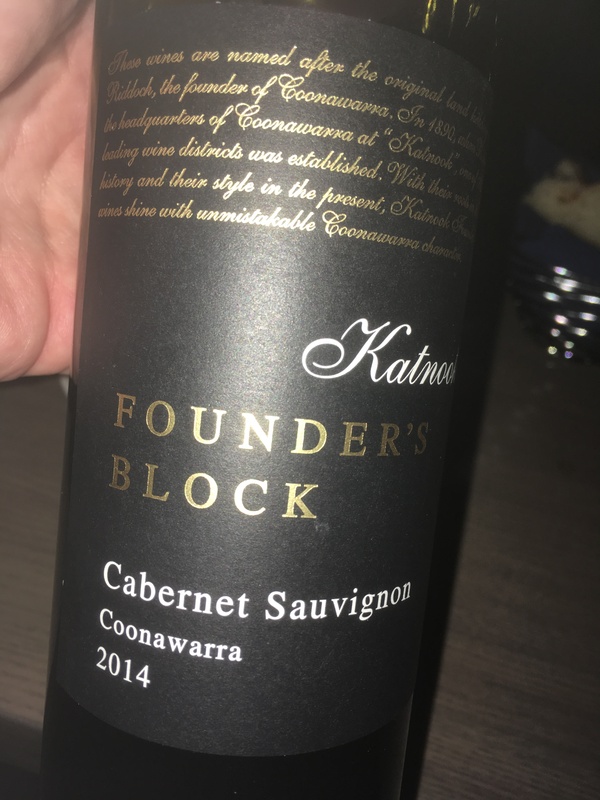 I haven’t had the Katnook Founder’s Block Cabernet Sauvignon since I left Newfoundland. And a group of 10 of us went to a restaurant on New Year’s Eve and it was on the menu so we ordered it. Delicious. Made from grapes harvested in their Coonawarra vineyard, this particular Cabernet was generous with fruit flavors but gentle with the tannins. Which makes it so food friendly, in my opinion. It’s not a Cabernet that has to go with a big chunk of beef. Because the wine is softer with the tannins, it went well with the different plates we ordered that night. I had beef tenderloin so it was a match made in heaven, but it also went really well with the lobster dish, so I was told and the variety of dishes the remainder of our group ordered. Here was my last new wine of 2016, it was the first bottle we had New Year’s Eve. 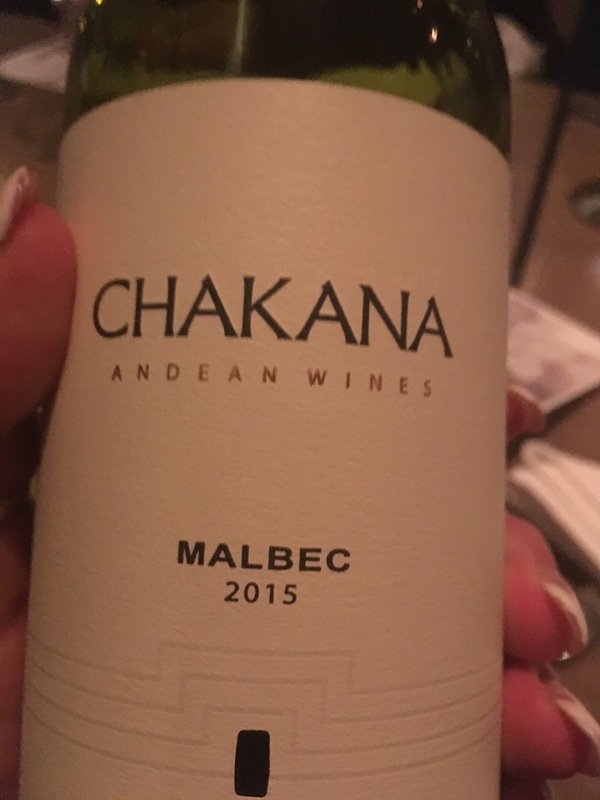 The Chakana Malbec hails from Argentina and we enjoyed the 2015 vintage. It is made by winemaker Gabriel Bloise using 100% Malbec grapes, and is matured in french oak barrels. This is a great expression of a Malbec from Argentina but it’s a big wine, containing 14% alcohol. Some may find it a little ‘hot’, or boozy. (Those are the words I use to describe some of the high alcohol wines I try). In a store, this wine is around $20 a bottle, and good value for the money. A brand new Zinfandel, it comes from the Puglia region in Italy, where Zinfandel is normally called Primitivo, but they have named in Zinfandel. I was a little hesitant at first becuase it was aged in ‘Double American Oak’. I was concerned that the oak would overpower the fruit, but I worried for nothing. That didn’t happen and the wine was fantastic. Gorgeous inviting fruit with notes of peppermint, vanilla and some oak. But again the oak does not overtake the wine. Full-bodied and a great wine for ribs, pasta and pizza and I loved the fact it’s around the $20 mark. A great wine at a great price, and that’s why it made my wine of the week. I had a wonderful holiday season but one of my favourite gifts came from a friend of mine Who is in Veterinary School in Prince Edward Island. My regular readers will know that I had a cat named Tigger for 20 years. He died in April 2016. 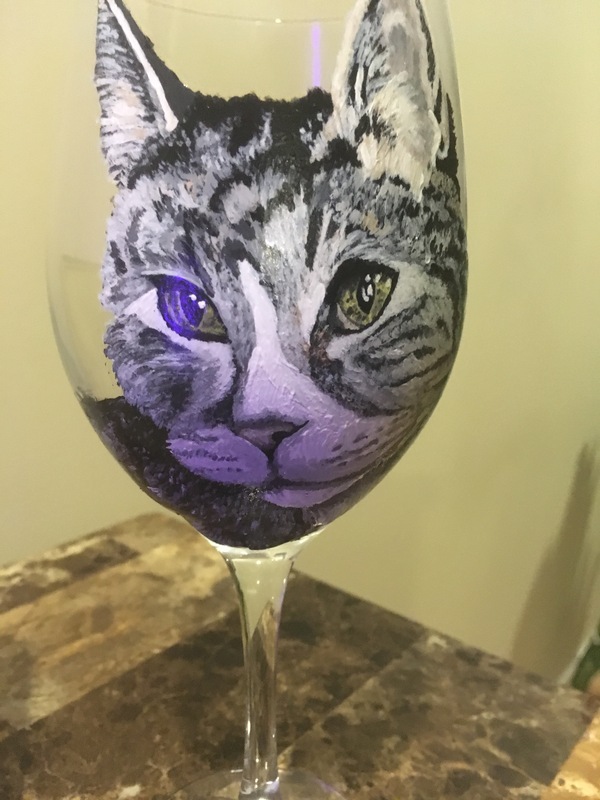 My friend Kelsey had an artist do you his portrait on a wine glass. All the gifts I received from family and friends were wonderful but this one definitely holds a special place in my heart. A big thank you to my friend Kelsey! Well there is stormy weather brewing in Atlantic Canada. But I’m not worried, my wine rack is fully stocked.